At WCC we endeavor to work together with other organizations for the common good of the community. The emotions that come with a confirmed teen pregnancy are often filled with apprehension and fear of the unknown. 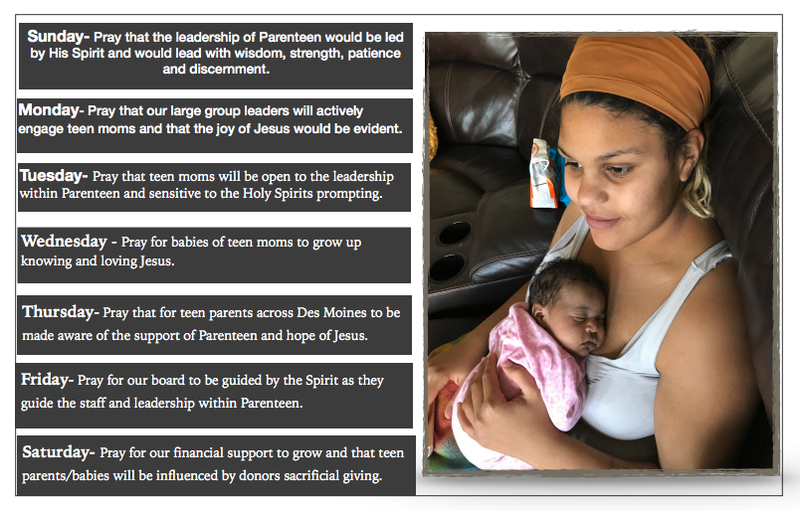 ParenTeen strives to walk life with young parents in ways that empower them with the truth that they are created with a purpose. 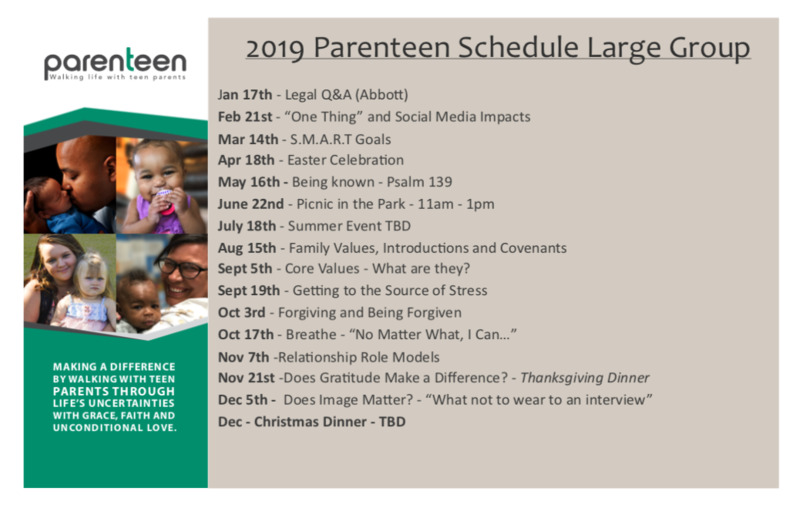 ParenTeen works to empower teen/young parents towards building healthy family foundations through multiple educations opportunities and relationship building activities. ParenTeen steps in to advocate for young parents and their families during difficult life situations. ParenTeen leaders and mentors provide friendship, encouragement and help with meeting the practical demands of raising a child. They choose to walk into their world and love them regardless of their life circumstances. There are many ways to get involved. Volunteering to hold babies, become a leader/mentor, provide a meal or become a committee coordinator are consistent needs within ParenTeen. For more information about how to get involved, please visit www.myparenteen.org or email Clorrisa Brooks at Clorrisa@myparenteen.org. Beza Threads is a company based in Des Moines, Iowa, which partners with Hope for Children Ethiopia to confront the issue of slavery by freeing, educating and empowering enslaved children toward a hopeful future. Click here to watch an interview Beza Threads co-found Josiah Carter. 515-987-5523 Waukee Area Christian Services (WACS) provides compassionate, practical care to greater Des Moines’ west side, offering food and medical assistance to those struggling to make ends meet. Supported by area churches, businesses and community organizations, WACS includes a food pantry, free medical clinic, and community garden. The EFCA exists to foster the "multiplication of healthy churches among all people.” This demands a strong commitment for planting new churches in our area. Our vision is to plant all kinds of new Evangelical Free Churches to reach all kinds of people with the gospel of Jesus Christ. WCC supports our Church Planting Missionary, Mark Doss, as we further the work of the gospel in the planting of new churches. As Multicultural Director, Brad Wos works throughout the Midwest to mobilize pastors and ministry leaders. He is discipling over 28 national leaders to multiply disciples among "All Peoples."